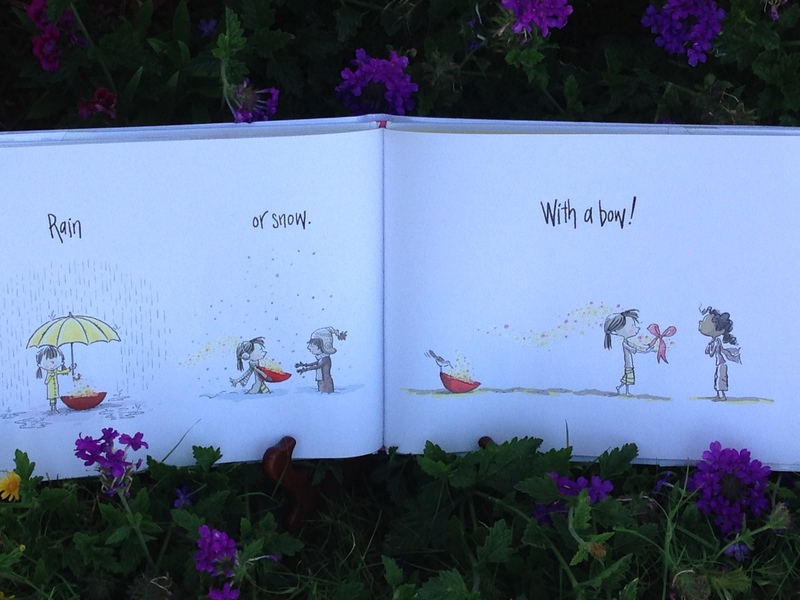 Since a picture is worth a thousand words, a children’s book can have less than 100 and still be incredible. 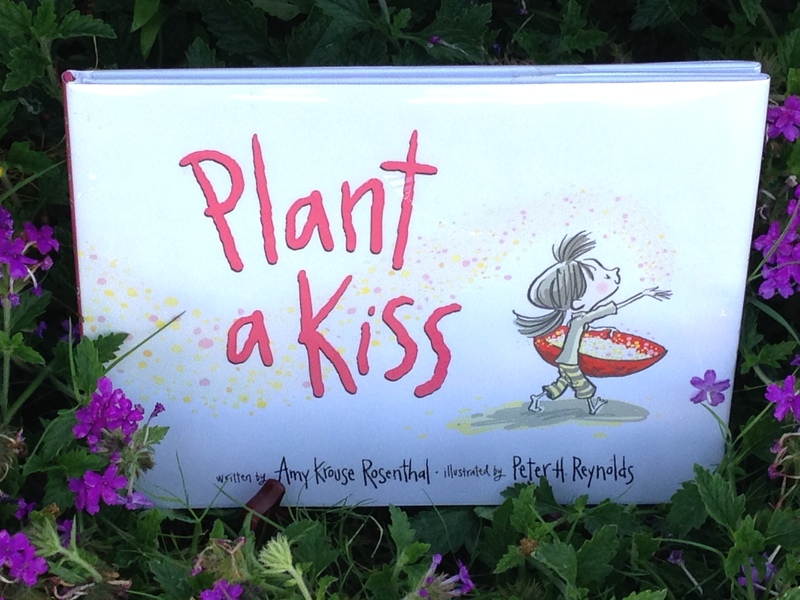 Hence the case with Plant a Kiss, an 85 word picture book that captivates kids. 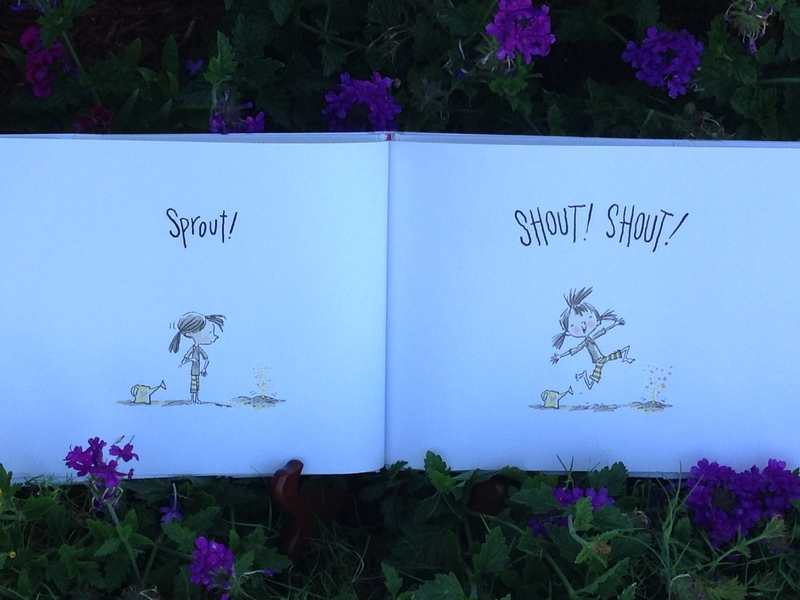 Our favorite part of the book is the raised, glittery illustrations of the plant growing. My two-year-old son needs lots of sensory stimulation as he is so picky with foods based on their textures. The more textures I can expose his little fingers to, the better. Books like this one really help. 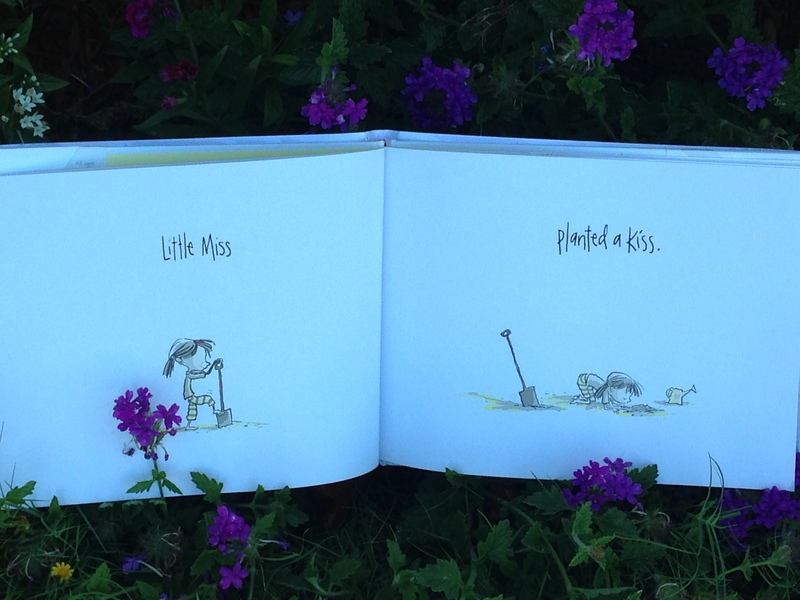 “Little Miss planted a kiss. After caring for her “plant”, waiting and wondering, one day it began to sprout! All her friends gathered around staring in awe. 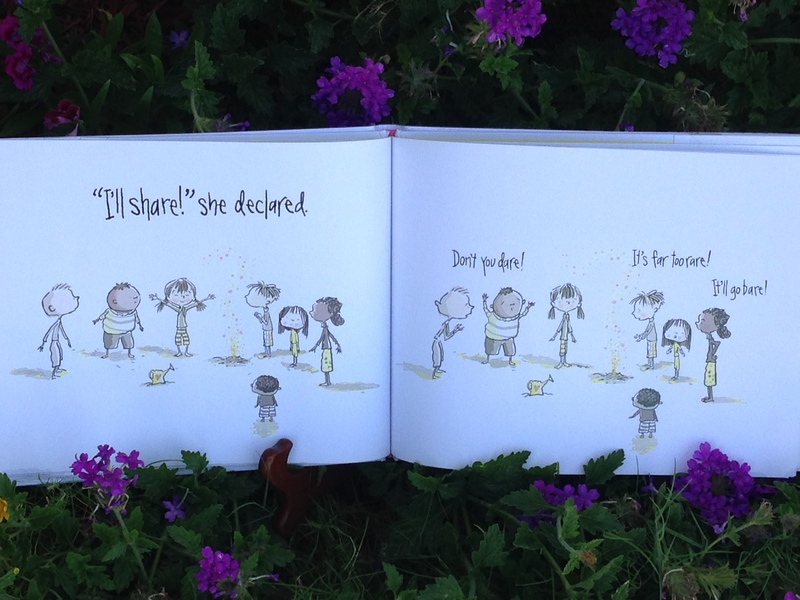 Immediately she began to share (except with one little boy who declared, “Don’t you dare!). Everywhere she went, she took her bowl of “kisses” to give as gifts until her bowl was empty. When she returned to gather more, her kissing plant had grown bigger and more beautiful than she ever could have imagined! Much more love to share. F- Which picture is your favorite one to feel? R- How do you relate to Little Miss sharing love (in this case kisses) with everyone? With whom do you share love? How? Who shares love with you? How? What makes you know you are loved? I- Imagine that you could plant anything and it would grow. What would you plant? Why? E- Explore the sensory activities listed at the end of this blog. Find one that works well with your child! N- Navigate through a meadow or a flower shop and find a plant to give a friend to express your love. D- Develop a list of the rhyming words throughout this book and discuss their sounds. S- Share kisses with those you love TODAY! Learn sight words or the alphabet in a fun way with this I-spy sensory bag! How to make natural, lavender scented sensory salt for pre-writing skills and calm down activities! This is still my favourite “play recipe” of all time! 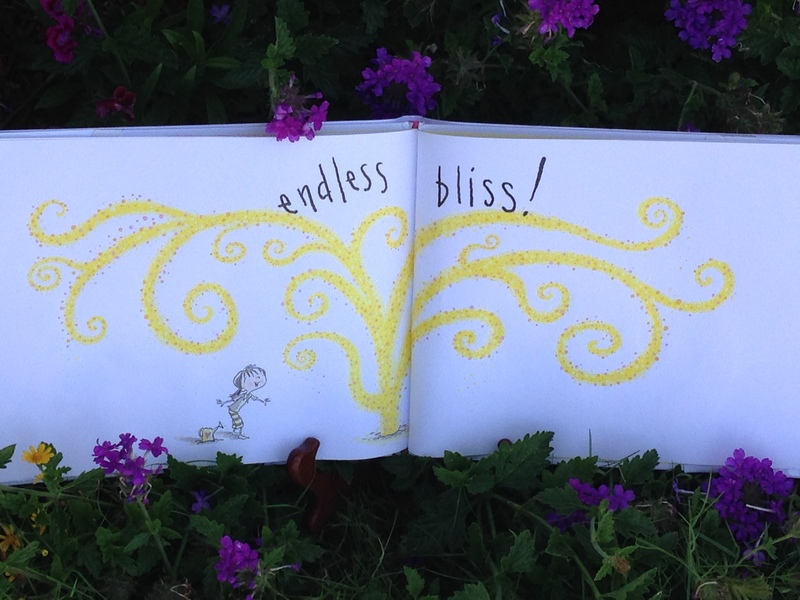 This entry was posted in Friendship, garden and tagged Amy Krouse Rosenthal, children's books with raised illustrations, friendship, Fun at Home with Kids, gardening, generosity, Harper Collins Publishers, hope, kisses, love, patience, Peter H. Reynolds, Plant a Kiss, sensory, tactile. Bookmark the permalink. Thank you for sharing our special book! Hugs and kisses to you!